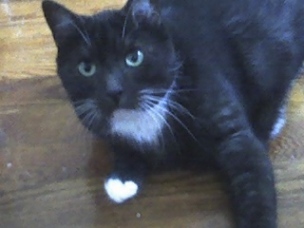 Yesterday, April 17 2012, we finally had to let go of our 17 year old cat Itty Pity. She took care of me for 13 years–practically my whole adult life. She moved up to NYC from Florida with me back in 2000 and has been the one consistent thing through years of trying to “figure it out” in Brooklyn. I will greatly miss being poked in the face in the middle of the night, meowed at from the top of the refrigerator in the morning, and having to share my popsicle’s with her (she had odd tastes). Though she’s mentioned a lot in Dogs of Brooklyn her poem was edited out. Sometimes its hardest to write well about those closest to us. Pet Sitters are not as expensive as you think. The national average for a Pet Sitter to visit your Pet in your home is just $16.00 per visit. When hiring a Pet Sitter make sure that they are insured and have references available. The prospective Pet Sitter should offer a FREE meet and greet with you and your Pets. Pets are a lot happier when they get to stay in their own home while owners are away on vacation. No trip for you to the kennel or pet hotel to drop off Lucky or Fluffy. You will receive notification via email or text about the visit for your pets to put your mind at ease. If you work long hours you may think about contacting a Pet Sitter to come by and take your dog out for walk and potty break. UPDATE 4/19: Chatta has been adopted! Squash bananas, and beat the egg. then spread evenly on a plate. Next, heat in microwave for 3 and 1/2 minutes. when done, let them cool. Then cut and serve.